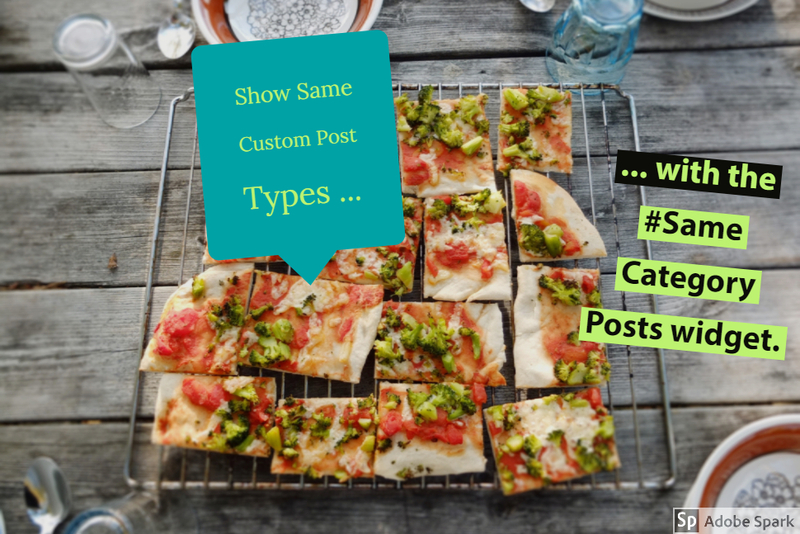 Up to now the Same Category Posts widget could be renamed to Same Custom Post Types with the new support for custom taxonomies and their Terms. Related posts give a good device to your customers in what they also be interested. Show same posts below a post will help that a customer don’t leave the website and search again with new keywords. This is what the Same Category Posts widget do. 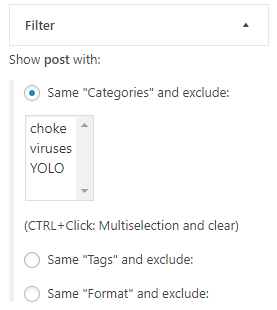 Accomplish another search with same terms, like the category name, tags, post types, etc. The benefit is the customer don’t leave his content because he get further results for the wishes they are looking forward. And all their energy is used to read the next pages and posts. What gives him more satisfaction of reading what they want and not scan new search results and discard them again and again. But be aware. Cross-selling can involves risks which can also harm the internal user traffic, if the existing relationship not good enough. A bad relationship can be posts with bad ratings or less comments. In this case the widget Same Category Posts support to exclude some “terms” from the query result. After exclude uninterested categories only posts from the most important categories will be shown. Another parameter to get the most important posts is to filter by the number of comments. Posts with the most highest number of comments will be shown first.